Nearing the end of an especially challenging year, there’s a strong chance that most of us are feeling like we could use a little healing. Some are burnt out on work or familial stress; others are exhausted from the demands of regular political activism; and yet others feel emotionally frayed for reasons difficult to pinpoint. 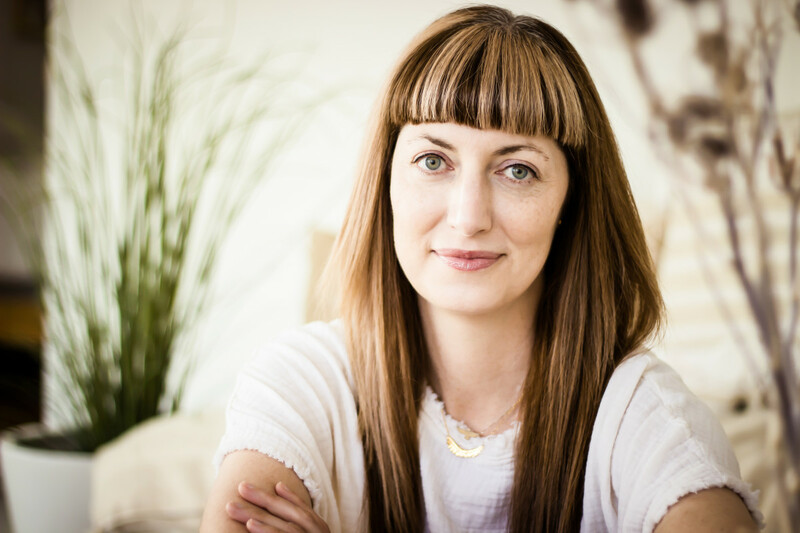 Enter Erin Telford, an experienced and versatile healer who works in a variety of modalities with an emphasis on Breathwork (which you’ll learn about below, if you’re not yet familiar with it). We sat down with Erin to chat about her journey towards becoming a healer on a professional scale, and she shared her suggestions for self-care of the honest, accessible, and insightful variety – at any age and any phase of life. We hope you find as much wisdom in her answers as we have. I was working for a luxury fashion brand in New York, and it was slowly eating away at my health and my self-esteem. The environment was relentlessly superficial and unsupportive. I had my first and only panic attack and could not ignore what my body was communicating to me. It was another level of waking up for me that I would no longer willingly choose to be in any kind of environment that was making me sick. Do you think some serious discomfort or misalignment is a necessary step towards finding our true paths in the world? There are so many ways to break free from something that is not serving you. The first time you break out of a dominant paradigm, you usually need a big push – an illness, a breakup, a loss. We need the experience to be so magnified that we can’t ignore it, so we are forced to look at our lives and make changes. Sometimes, we need many big pushes. The Universe always begins by whispering at you. If you can’t hear the whisper, it will eventually shout at you! Once you get past that first layer of breaking free from the system, it gets easier to shift your path. There is a phase of fine-tuning where you don’t need big whammies to get you to take notice of what isn’t working. You are conscious. You recognize what is out of alignment, and you make changes as needed. So many of us get stuck in stressful life scenarios — jobs not unlike yours in the fashion world, or even friendships, partnerships or health habits — but so many people don’t recognize that they’re really in trouble or grasp their power to make a big change. How or why do you think so many of us get so stuck and are so in need of healing? How did you find the guts to understand that you needed to make your own big shift? Breaking out of how we’ve been socialized to find happiness and satisfaction takes a strong spirit! There are more and more examples every day of people living lives outside of the formula we’ve been given for a full life, but we need even more. What we see around us shows us what is possible for our lives. If everyone around you is in a space of mild misery, anxiety and boredom, that’s going to feel normal for you. It takes self-love and courage to believe that there is more out there for you and that you are allowed to have it. I’ve always felt a little weird and different. I embraced safety and structure and did some time in corporate life for a bit. When it was time, my soul wouldn’t allow me to continue in that vein. I had to reach a certain depth of exhaustion, despair and feeling like I was wearing a mask to want more for myself and my life. It definitely took some guts to make that leap, but the support and feeling of relief from being in alignment with myself created such a soft landing. We are [all] evolving at a fairly rapid rate right now, and if doing something outside of the norm is your path, you are going to find the support and the guidance to do that. You know when it’s time to make a change. You just have to listen. You work in a number of different modalities, including Breathwork, acupuncture, reiki and herbalism. Breathwork might be the least familiar to many people, so can you explain briefly what that is? Breathwork is an active meditation technique that helps you release stuck emotional energy. It can change emotional default settings, lifetime patterns of depression, anxiety and addiction; connect you to your intuition; help you access your creativity; and open your heart to increased gratitude and self-love. It is a self-healing practice that has changed my life and is an efficient and effective way to emotionally detox. How do you combine Breathwork with your other therapeutic skills and tactics, and how do you know which healing angle will be right for a particular person or situation? In general, I like my clients to begin the healing process before our appointment by checking within and connecting to their intuition to see which type of healing session feels right for them. I have descriptions of what I offer and why you might choose something [in particular], but I like people to decide for themselves. In general, anytime you want to fast-track your emotional healing or break any kind of mental loop or unhealthy pattern, you will want to choose Breathwork. I occasionally combine Breathwork with Reiki to deepen and lengthen the integration portion of the treatment, but it is a complete treatment in itself. Now that I have moved my business online, the two services I offer are Breathwork or Guiding Light sessions. The Guiding Light sessions are for mentorship and therapeutic counseling, while Breathwork is going to be an active energy healing. How do you define “healing”? Is it possible to ever truly be healed? [Healing is] any shift in perception, perspective or felt experience from one of pain, suffering and disempowerment to one of more internal peace, self-acceptance, self-love, self-sovereignty and joy. Being “healed” is not the goal, and if you approach your healing process with a finish line in mind, you will be disappointed. Healing is not linear. It is a spiral. We all have a few core wounds and learnings that we will work on in our lifetime. We come back around to them when we are a little stronger, wiser and better resourced to work on the next layer of them. What is possible with healing is to feel great in your body, at peace in your life, secure in who you are, [and] creatively inspired; to have love in your heart and to feel connected and supported by something bigger than you. You say that “when we heal ourselves, the world around us begins to change.” Can you tell us more about what you mean by that? We are always “collecting evidence” about the world we live in. If you have a lot of internal volatility and unhealed rage, you might see a lot of jerks in your life. If you feel victimized and powerless, the lens you will be looking through might be one of everyone trying to take advantage of you. When you begin to peel the layers of social conditioning, ancestral wounds, your shadow, insecurity, not [being] good enough, [being] too much or not enough, you find this unshakeable core essence. With healing, you look for all of the unloved places within. All the places where you have judged, criticized or shamed yourself for who you are. When you are filling up on self-love in a way that’s deep and true and not just a mental exercise, your vibration changes. You begin to emanate and attract different circumstances, experiences and people that support a new reality of deeper synchronicity and wonder. You see the world through different eyes, and your healing has a domino effect on your relationships, your community and everyone you engage with. People can feel that you come in peace and they can feel your light, and it prompts very kind encounters with the world around you. How would you respond to someone who sees self-care as a luxury or wellness simply as a hot trend? Part of me loves that taking care of yourself is a hot trend. The danger in that carefully marketed and packaged version of self-care is that people can think it’s all about spa services or retreats or healing treatments. [But] if you don’t have your health, you don’t have much. Self-care is essential and will continue to be essential, even after we move on to the next trend. Self-care is going to look different for everyone, as we all desire different things to feel whole and balanced. It is absolutely necessary to attend to the needs of the emotional, mental, physical and spiritual body as respect for yourself and your life. What do you suggest to people who feel they don’t have the budget for professional energy work? What are some totally free and accessible ways we can all work towards healing ourselves, right here, right now? The most fundamental things that everyone can do to take care of themselves are the free and accessible things! The basics are getting good quality rest so your body can repair and restore itself; moving your body daily; getting out into nature; avoiding toxins in food and beauty and home products, environments, and people; and being mindful of emotional stress. If you are following that prescription, you are going to be in really good shape. My very favorite healing practice right now is Earthing, which is simply letting the soles of your bare feet touch the Earth for as long as you have time. The Schumann Resonance is the electromagnetic frequency of the Earth. We are disconnected from the opportunity to discharge energy and recharge ourselves through connecting to this frequency, because we very rarely make contact with the Earth. If everyone did this for 20 minutes a day, they would be much less anxious and less fatigued. Do you have any advice for women who feel they&apos;re "too old" or too set in their ways to make a shift towards holistic wellness? You are never too old to deepen your connection to your wellbeing. Holistic wellness simply means that you are attending to every part of you – your emotional, physical and spiritual bodies. I don’t know one woman of any age that wouldn’t benefit from a more nurturing and kind relationship with herself. Holistic healing is in the DNA of all women. They just need to tap back in. It’s an inherent way of living in feminine energy. What’s something about your line of work that might surprise people? It might surprise people that I’m usually listening to gangster rap, up until the minute I walk in the door for a healing group. [But] I don’t think there is much that is surprising behind the scenes of this work, other than that healers are just regular people. I don’t float around in a cloud of bliss and incense all day. I drink coffee and watch TV and have dark nights of the soul. I also pray and connect to the Earth and have a strong relationship with Spirit. Most of the healers that I vibe with hold this tension between the sacred and mundane. I just left New York a month ago to travel indefinitely. This is a completely intuitive and spirit-led journey, so “normal days” have been somewhat thrown out the window. My life in New York was very structured, and so this freedom feels really good. The rituals that I do keep consistent, wherever I go, are beginning and ending my day with prayers and gratitude. I always make a connection with Spirit to let it know what I appreciate that I have received in my life, whether it’s a gift or an opportunity to grow. I set up an altar to create sacred space for myself and my client work. I take whatever herbs and supplements are currently working for my body. I make myself one cup of coffee and cook breakfast – usually some protein and veggies. During the day, I follow what feels good. I try to get my feet on the Earth and move my body every day. I try to flex my creativity in some way. I make sure to connect with people I love. I do everything else according to my energy levels. Some days, I go hard because I’m really inspired and hyped, and other days, I just chill and take it really easy and slow. I don’t like routine, so I just try to meet the day as it comes. I have just started to crack the code on a pain that I’ve had in my body for a few years. Working with physical pain was, of course, something that I never wanted to deal with, but it has led to new places on my healing path. My approach is always to throw the kitchen sink at whatever needs healing. I follow my intuition and my curiosity and try to investigate every challenge from every possible angle. I have looked at this through an energetic lens, an emotional lens, a lineage lens, a manifestation lens, and finally a straight-up physical lens. I’ve talked to a medical intuitive, done an Akashic record reading, gone to a holistic gynecologist, met with a surgeon…[I’ve tried] crystal bed therapy, Mayan abdominal massage, acupuncture, herbs, dietary changes, Breathwork, mantra, Reiki, and finally trigger point therapy. In the pursuit of finding “the answer,” I have learned so much about myself and my body. It is a whole other level of self-love to shower yourself with sweetness when your body hurts or feels sick. I try to have gratitude for the journey, no matter what’s going on.